As a licensed real estate agent, I have been selling and renting apartments, condos and townhouses each year since 2001. I utilize my superior local market knowledge and expertise to deliver each client a highly customized, stress-free experience. I have developed an early passion for Real Estate as I started just after college in an international Saudi company which created a very modern village in greater Beirut, Lebanon. In 2001 as an ambitious and dedicated person to real estate I decided to move to Boston to pursue a real estate career. I started selling and renting apartments at the Beacon Hill area, I later moved to a very potential real estate office in Back Bay. I am currently working at Boston homes Realty and my goal is to find the right home for my client. I also work as a listing agent for many landlords in many areas in Massachusetts as Watertown, Waltham, Beacon Hill, Back Bay, Burlington, Dorchester, Wilmington and many more. I hold a bachelor degree in Business Marketing and an MBA from the Lebanese American University, and a Masters in professional communication from Clark University. I speak very good English, French, and Arabic languages. 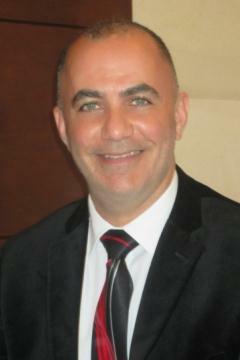 Fadi Safieddine was a pleasure to have a realtor! He took in to concentration all of my needs and wants and found me a wonderful apartment in back bay Boston! "I will highly recommend Mr.Safieddine to all my friends and family for whenever they are looking to find a apartment or home!"